Eleni Varsaki was born in Kefalonia in 1979. She received the BE in Electrical Engineering from Technological Educational Institute (TEI) of Patras in 2003. In 2005 she received the M.Sc degree in «Electronics and Information Processing» from the University of Patras. This is a collaborative course offered by the departments of Physics, Biology and Medicine. From December 2005 until October 2012 she was pursuing her Ph.D degree at School of Science and Technology, Hellenic Open University. 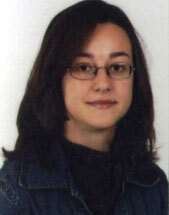 Her thesis is entitled ‘Data hiding on still images’ funded by the Greek State Scholarship’s Foundation (IKY). Her research interests focus on Digital Data Hiding. Ms Varsaki is member of IEEE, IET and ACM society. The Digital Systems and Media Computing Laboratory (DSMC Lab) was established in the end of 2002 and is located in Patras, Greece. DSMC operates under the School of Sciences and Technology (SST) of the Hellenic Open University (HOU).